eleanora2856 This seller consistently earns high ratings from buyers, thanks to fast shipping and excellent service. eleanora2856 doesn't have any items in their booth! Eleanora is a Great Gal who will surely make you smile I have worked with her on a Personal and Professional level and she is truly an asset to our Community and i am so Happy to have met her.What a girl!!!! EL is a Great Person and business woman. You can’t go wrong with EL. Thanks for birthday wishes> Anyone dropping POSiTiVE energy my waY = definitely deserves my individual PERS0NAL eND0RSEMENT ~ Please take a moment to visit membersâ€™ (eleanora2856) b00tH nextâ€¦MONTR0Se approves this message! Wonderful buyer and seller! Great person to work with on any level. Communication is excellent and items are awesome. Best deals around! An asset to Bonanzle and highly recommended by Gan!!! Thank you for the welcome e-mail. I love all of your vintage and glassware – especially the very classic Hull vases! I’ll be back often. This lady is such a wonderful asset to Bonanzle!!! I have dealt with her as both a seller and a buyer. Some real bargains are offered in her booth and she loves to have her buyers happy with her service and the item itself!! 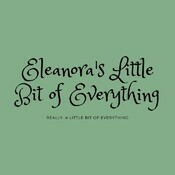 You’ll be pleased in dealing with eleanora2856!!! !